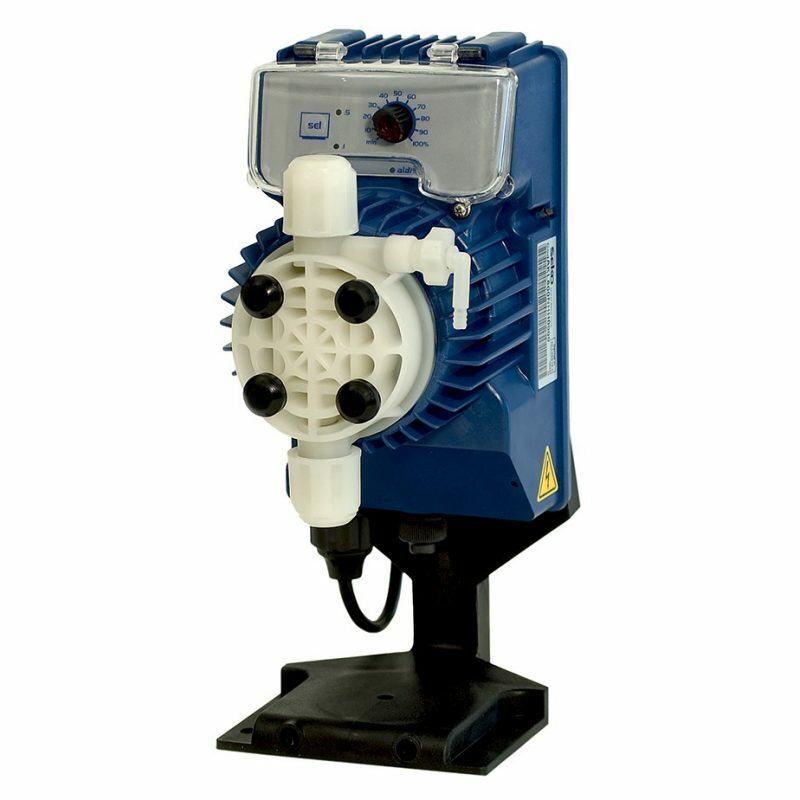 Analogue solenoid chemical dosing pump with constant flow rate manually adjustable or proportional flow rate according to an external analogue (4÷20 mA) or digital pulse signal (e.g. from water meter). LED indicator and level control input.